Great e-commerce email marketing starts with a clean, up-to-date list of email contacts called "subscribers". 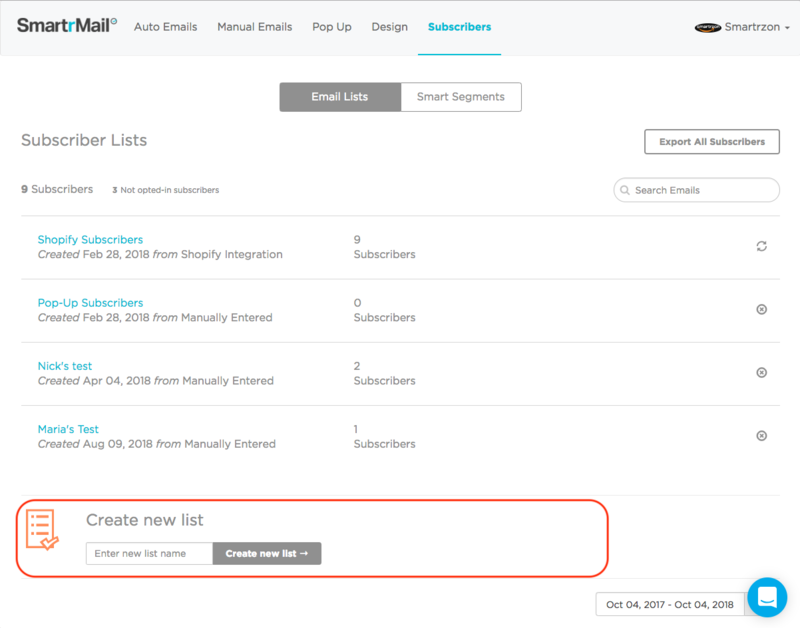 To learn how to manually create an email list with SmartrMail, you can watch the video below, or follow the instructions beneath it. Once your list is created, you'll be able to enter subscribers manually, or import subscribers from a CSV file. If you don't have any subscribers yet, set up your email collection popup or embed your HTML form.